This lovely wooden frame has an oak effect veneer finish and holds a landscape photograph. The top of the frame features a pretty butterfly embellishment set with diamante. 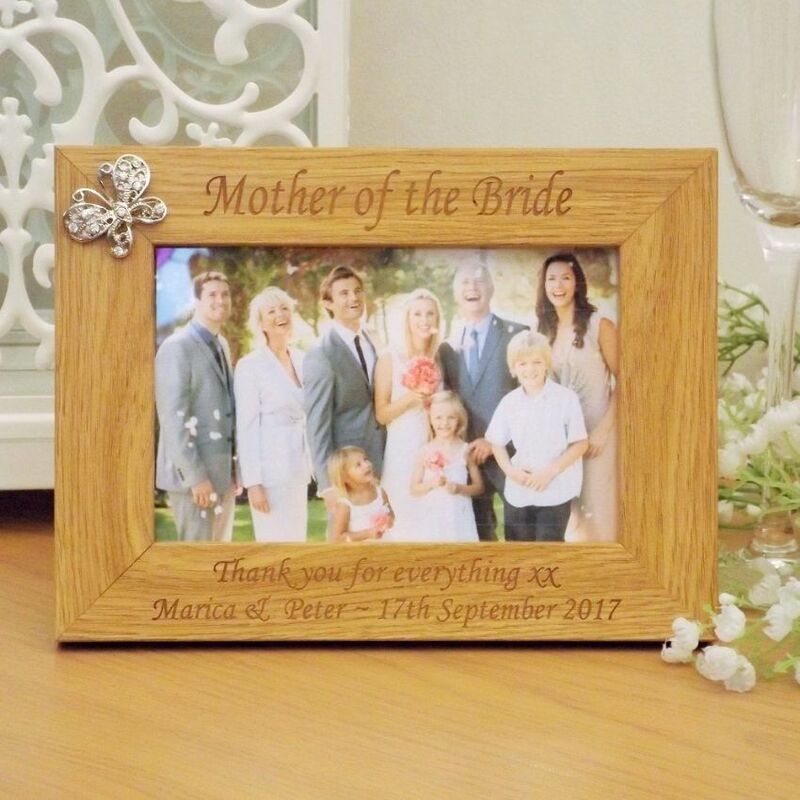 Personalised and engraved to order, making the perfect gift for the Parents of the Bride and Groom and also other members of your bridal party. At the top of the frame you can have your choice of engraved wording or title of up to 25 characters. For example, 'Mother of the Bride', 'Parents of the Bride', 'Bridesmaid' or maybe the first names of the Bride and Groom. 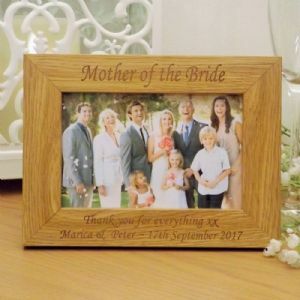 At the bottom of the frame you can also have a message or wording of up to 100 characters engraved in total, this is over a maximum of 2 lines, which gives up to 50 characters on each line. 20cm x 14.5cm x 1.5cm (deep) approximately to hold a 6x4 inch photo. 22.5cm x 17.5cm x 1.5cm (deep) approximately to hold a 7x5 inch photo. NB. Our picture in the frame is for illustration purposes.